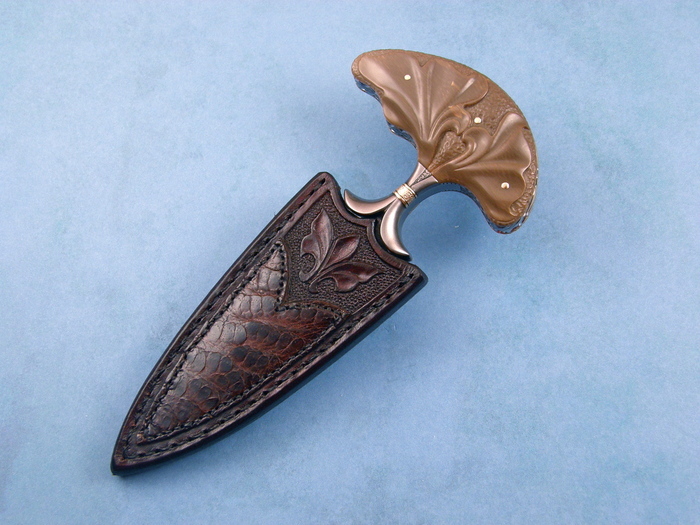 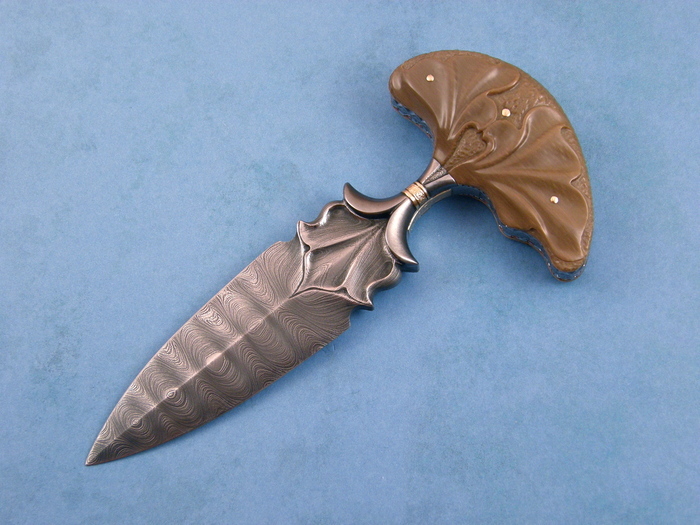 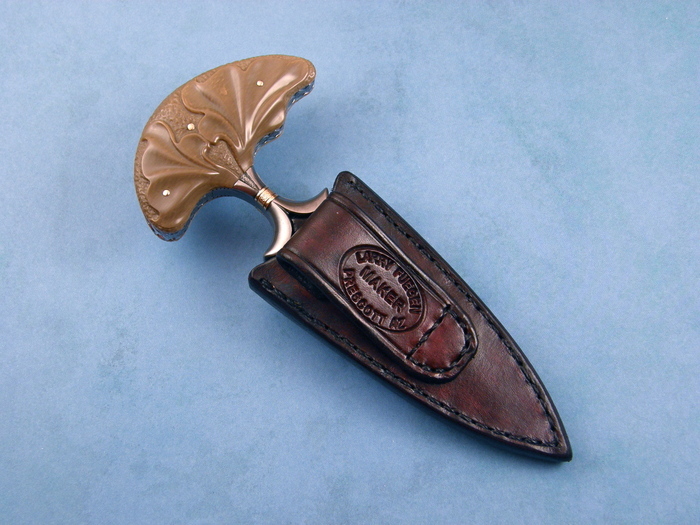 A beautiful Push Dagger by Fantastic Knife maker Larry Fuegen. 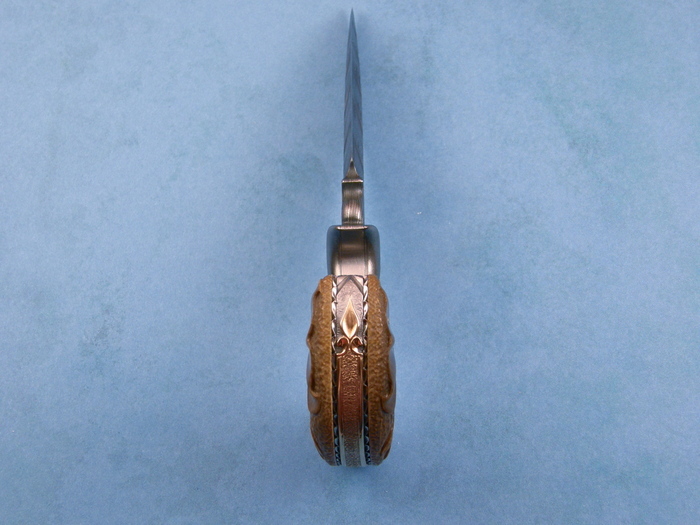 This knife was made for the 2003AKI Invitational Show in San Diego. 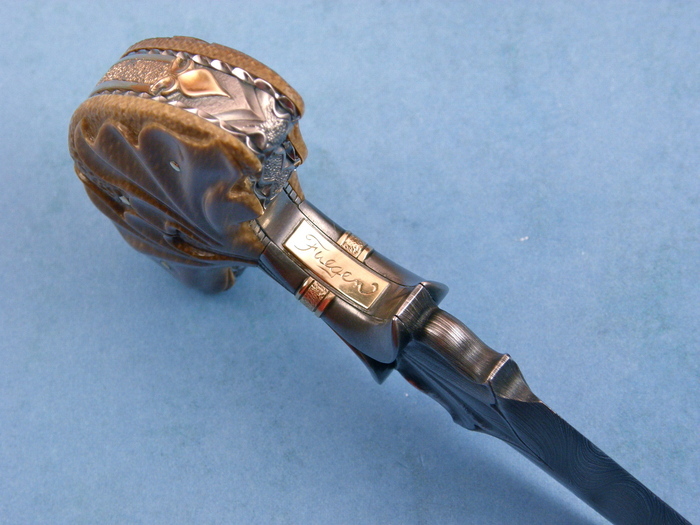 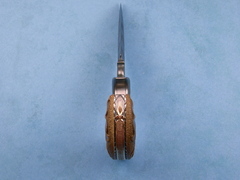 It has carved fossilized mammoth and beautiful ladder pattern Damascus by Larry. 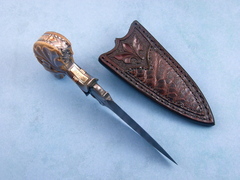 It has a lot of gold on the pins, name-plate and top of the dagger. 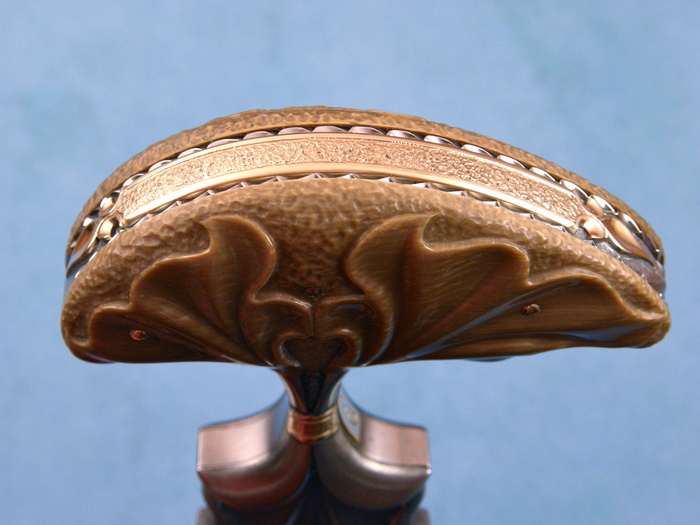 The whole spine all the way around has been been file-worked. 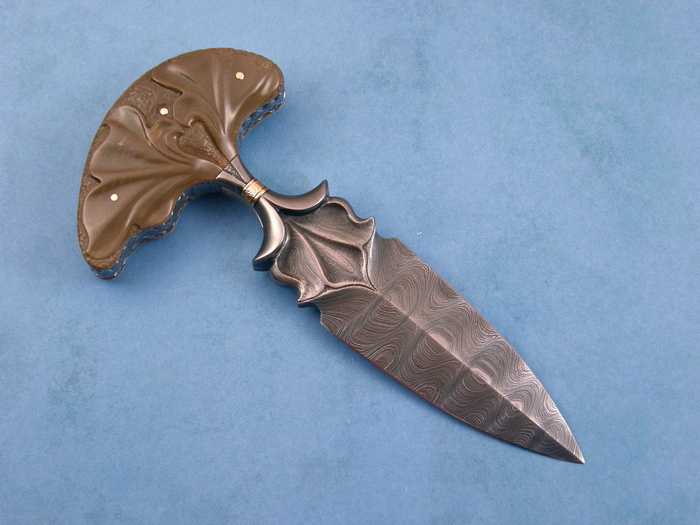 An incredible Art Knife.